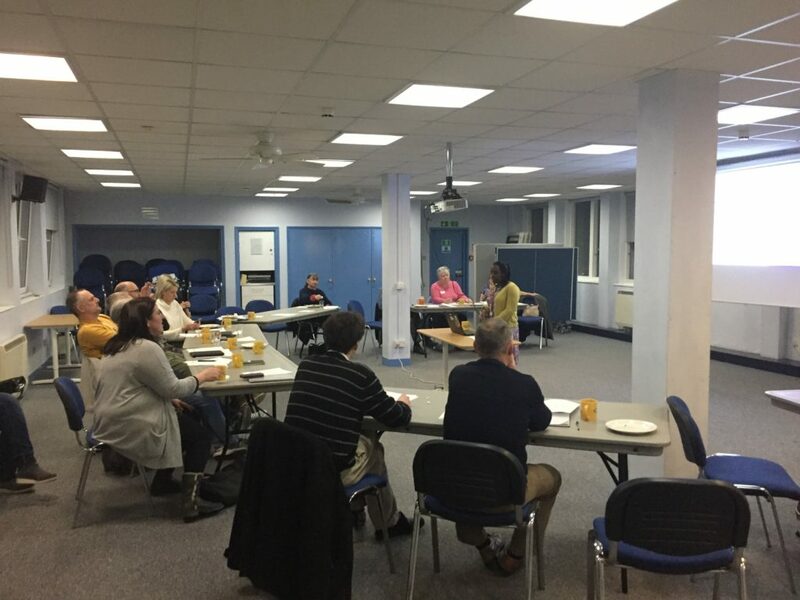 On the 26th February, The Brighton and Hove Community Buildings Network (CBN) supported by TDC hosted an event in the Conference Room at Community Base, Brighton. With over 30 people in attendance, it was an opportunity to network and learn from others running and supporting community buildings in Brighton and Hove and prioritised the key issues for community buildings. Number one was recruiting more volunteers and committee members and we will be working with the network to do this over the coming year. The first session focused on understanding the challenges faced by community buildings. It is recognised that our community buildings are strong and successful but also face many shared challenges. TDC and CBN have been identifying and exploring these challenges through a health check program conducted alongside local community buildings. TDC’s Amy Allison and Kirsty Walker reported on the health checks findings and took us through the common challenges identified. A poll amongst those present was conducted asking what the biggest challenges they faced were. They identified recruiting more volunteers and committee members, raising funds for community buildings, resolving uncertainty around leases and governance arrangements, setting a repair budget, minimising energy costs, engaging users and potential users of the building more. The findings of our health check summary will soon be available on our website and you can click here to download our health check document for your own building. In the second session Brighton and Hove City Council’s Third Sector Manager John Reading explored potential opportunities for community buildings around a new Third Sector Commission and discussed the ongoing consultation process around the funding process. A Q&A session focused on the type of support available to community groups and buildings and how BHCC are keen to support collaborations and partnerships. A group of Young People supported by TDC’s Youth Team and The Hangleton and Knoll Project were then welcomed. All spoke honestly, openly and movingly about the difficulties that young people can experience in their communities, particularly with the issues of isolation and exclusion. They discussed the value of community buildings, how they can be made welcoming to young people and emphasised how peer group contacts at school can lead to building relationships and the confidence to use accessible facilities. They also felt that local inter-generational links in their communities could be encouraged if it were a mutually beneficial sharing of skills and experiences. We will soon be sharing the results of a recent piece of work we’ve been involved with to help make community spaces more youth-friendly. After a break for some delicious food provided by The Cardomom Pod the evening finished with Kirsty Walker looking at the ‘funding triangle’, focusing on needs, outcomes and impacts and a ‘live’ fundraising session led by Donna Edmead from BHCC’s Communities and Third Sector Team. The session gave everyone the chance to look at the ‘Funder Finder’ software in action and see how it can help buildings and groups to identify appropriate funding and develop effective bids.